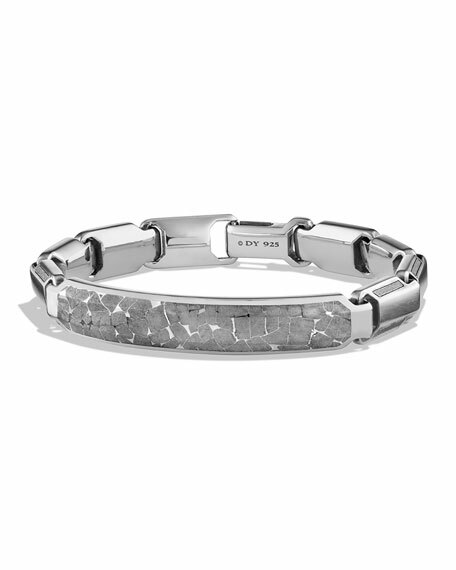 David Yurman beaded bracelet. Red woven fabric. Silvertone geometric beads. 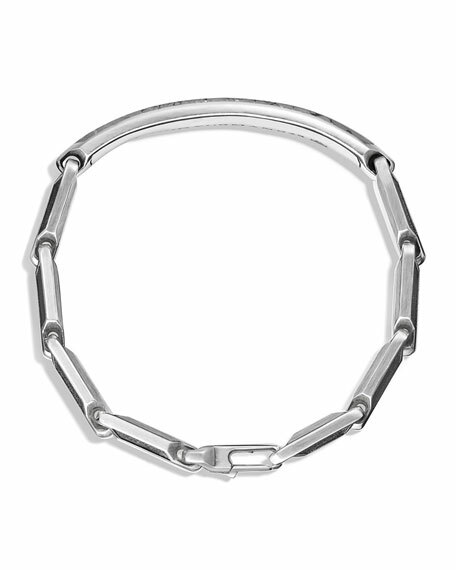 Woven clasp; adjustable length. "Fortune" is imported.